The soon-to-launch version of Hotmail has been totally revamped, as we’ve already told you. But now a new post from the main Windows team blog shares more details on some very specific and critical improvements they’ve made to Hotmail’s spam filtering techniques. In the upcoming version, Hotmail will launch several new technologies that will help further reduce spam, informs the post. These include more advanced IP and content filtering, spammer infrastructure detection and destruction, time-traveling filters, personalized spam filtering and tagging. Because Hotmail is the largest webmail worldwide, they have more info on bad IPs which has allowed the first improvement to take place. But it was items #2 and #3 that caught my eye. “Spammer infrastructure destruction?” What? Is that some new Hotmail superpower? Apparently, it’s when the spam filter looks at the URLs contained in the spam emails themselves to identify the source URL of the spam. This is then blocked by URL name and IP. That means spammers actually have to move to a new IP to continue to operate. The time-traveling filter is also really interesting. Even though not all spammers are caught the instant they start sending out spam, the time-traveling filter can go back to your inbox to remove spam after the spammer has been identified, even if it wasn’t caught at the time of arrival. That’s like having someone clean out your inbox for you – nice! (Now if only they’d help me respond to these emails). The last 2 items help to make spam fighting more personal. 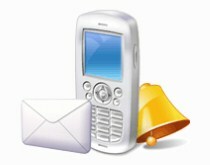 What Hotmail call junk, you may consider an important piece of mail, for example. With artificial intelligence, Hotmail will let you personalize your own spam settings. and if a piece of mail has been previously tagged “safe” or “junk,” it can tell you that too.